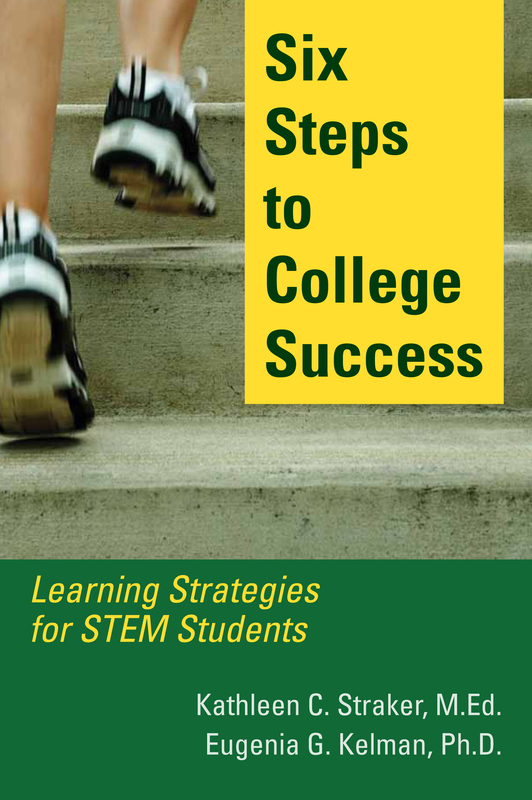 Six Steps to College Success offers a detailed, but easy to follow, system that shows you each exact step of a complete study plan, plus practical exercises to get you actively involved in each step along the way. that allow you to not only repeat the material for a test, but to actually know it for life. Pre-Read: Activities are used to stimulate prior knowledge and build new knowledge. Pre-reading helps students become more active and engaged in classroom lectures and increases reading speed and comprehension. Structure: Students learn how to structure the material as they listen to lectures and read the texts. The structuring phase helps them internalize the information and build mental models. Self Test: The information is encoded in long-term memory by a structured approach to spaced reviews and self-tests. Apply: Having stored the information in long-term memory, students are able to easily access and apply what they have learned. This step is typically demonstrated in examinations and laboratory work. We’ve taken our years of research and workshop experience and distilled it into workbooks for self-study. We present self-diagnostic tools and strategies that can be applied by students of any discipline. 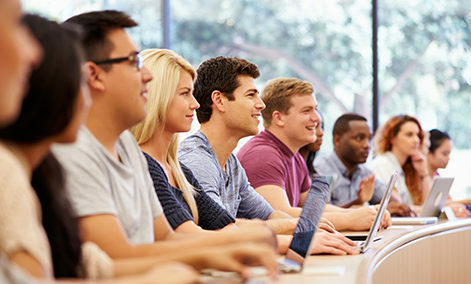 These skills are a must for any student embarking on a rigorous course of study. For students who do not have access to one of our workshops, our workbooks can be used in a small group setting. 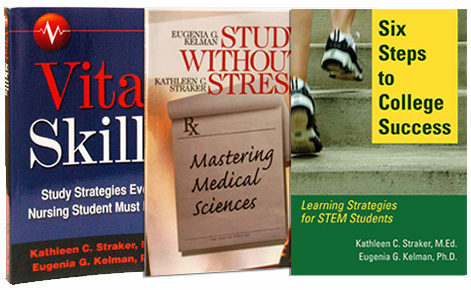 Our books are also an excellent resource for counselors and teachers. “This book should be mandatory reading for anyone contemplating a professional health education curriculum…. I used this study system to survive medical school…. Even after residency, I have continued to refer back to the charts I made. “I would highly recommend this workbook for any beginning nursing major. It is an excellent document that addresses all the essential study skills nursing students need to know in order to be successful in their nursing education. “Study Without Stress…is an excellent book for students who need to acquire, assimilate and put to use a large body of knowledge in a relatively short period of time…. By using this system in medical school, I greatly improved my exam scores. But now I find that I have better retention of the knowledge that I utilize daily in my patient care. These techniques have helped me become more efficient with my studies (which don’t end with the completion of school!) with better time management. Kathleen Straker is president of The Straker Group, LLC. She is a master’s-prepared educator and reading specialist with two decades of experience in teaching study strategies. The workshops she teaches have helped thousands of students graduate to careers in nursing, allopathic and veterinary medicine and research. Tony Moore is a Certified Performance Technologist and president of Moore Performance Improvement. MPI is a virtual company, networked with other consulting companies around the country that share the same stringent standards and systematic approach to improving performance. Rick Straker has more than 20 years’ experience in a variety of consulting, training, and management roles in the public and private sectors. He is a Certified Facilitator, a Certified Performance Technologist and has extensive training in performance improvement best practices. He is co-founder of The Straker Group. A popular speaker for both faculty and students groups, Kathleen Straker knows her audience and subject matter well. She presents her work on learning strategies in a way that is interesting and memorable. Kathleen regularly speaks at international conferences and is the go-to person for local student organizations.